On Nov. 26 at 11:52 a.m. Pacific Time, NASA’s Interior Exploration using Seismic Investigations, Geodesy and Heat Transport lander – the InSight lander – successfully touched down near the equator of Mars on the smooth lava bed known as the Elysium Planitia. The landing was first reported by two CubeSats – miniature, modular satellites – that are the first of their kind in deep space. 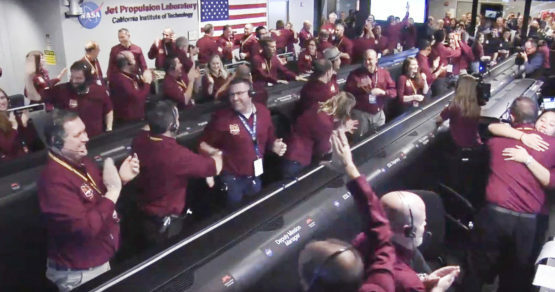 As the mission team at NASA’s Jet Propulsion Laboratory (JPL) celebrated, Scott Hubbard , an adjunct professor of aeronautics and astronautics at Stanford University, former director of NASA Ames and first Mars program director, was right next door to the control room. Amid all the excitement, he shared some quick thoughts with Stanford News Service about our eighth successful landing on the Red Planet. What are some of the questions you hope InSight can answer? I’m looking forward to what InSight can tell us about the size, composition and structure of the “heart of Mars” – its crust, core, and mantle. InSight may also reveal the current level of meteorite impacts and tectonic activity, if there is any. We’re curious: Are there any marsquakes? What, in your opinion, are the coolest instruments included on InSight? The seismometer, which could detect marsquakes if they exist, is very, very sensitive and, because of this, it had to land with a 5 mile-per-hour impact. Forty years ago, the Viking landers has seismometers, too, but they were on top of the landers, which resulted in data that was too noisy. 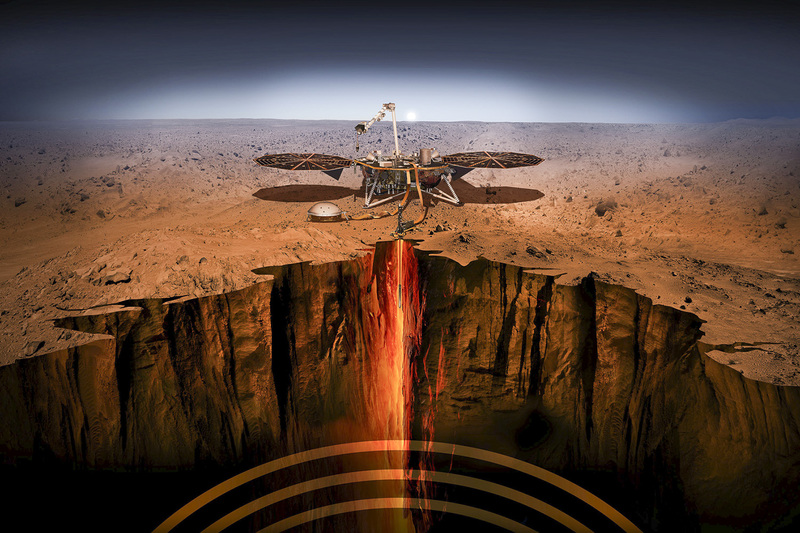 The InSight seismometer will be placed directly on the planet’s surface by InSight’s robotic arm. The heat flow instrument is also exciting. It works its way into the planet like a mole and will burrow down almost 16 feet into the surface. By measuring the heat coming from the center of Mars, it can determine how much heat there is and could help us figure out whether Mars formed from the same materials as Earth and the Moon. How does InSight compare to previous Mars landers? InSight is smaller and lighter with a more focused payload for a very specific set of measurements. In addition to seismology and heat flow, radio technology on InSight will measure the movement of Mars’ North Pole. This could tell us more about the planet’s core, including whether it’s liquid. This landing marks the end of the MarCO mission. What do we know about the success of that and what does it mean for future CubeSat work? At first report the two satellites seem to have worked just as planned. They relayed data in real time and I think set the stage for future “smallsats” to Mars and other planets. How would you describe the scene at JPL as InSight landed? The seven minutes of terror (the seven minutes it takes the lander to go through the atmosphere and land without human control) during entry descent have not got any less nerve-racking, but the data relay from MarCO helped build confidence! 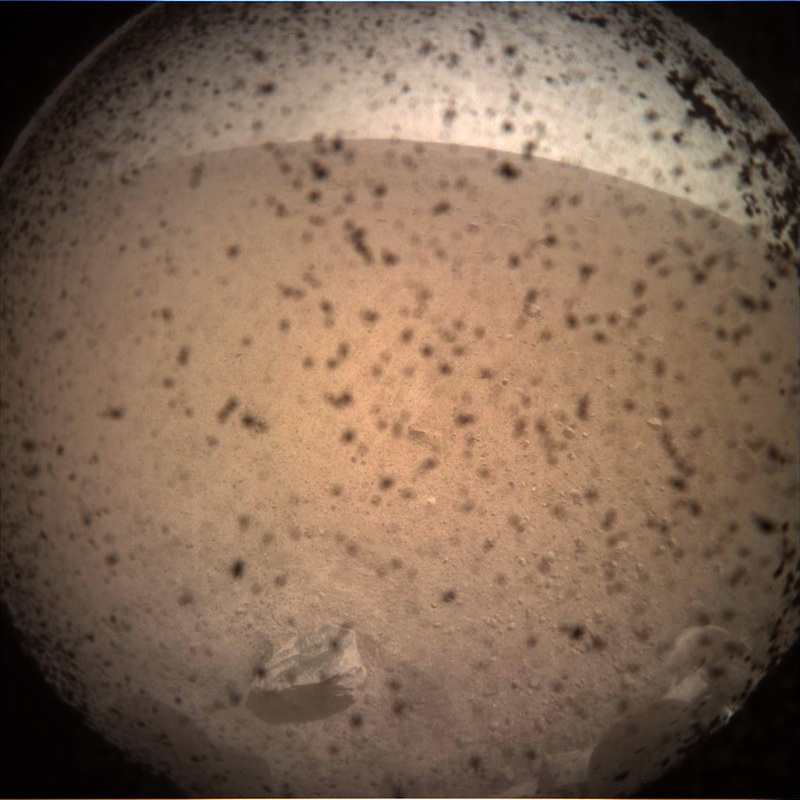 NASA already uploaded the first photo taken by InSight, which looked quite dusty. What are your thoughts about that image? Yay!!! We made it! Now let’s get some science. What other Red Planet news should people be excited about? Next up is the Mars 2020 rover, which will be the first step in the long-awaited Mars Sample Return campaign.